Grand mal seizure is one of the many types of seizure disorders that is usually associated with epilepsy. In cases of grand mal seizures, the whole brain activity gets affected. Grand mal seizures is considered to be a medical emergency and needs prompt medical attention. However, grand mal seizures usually happen unexpectedly and it will not give enough time for a medical emergency team to reach the patient experiencing grand mal seizure on time. It will be very helpful and life-saving if bystanders or a person who is present during an attack of grand mal seizure knows how to perform proper first aid for grand mal seizure. In an attack or episode of grand mal seizure, there will be a sudden loss of consciousness followed by dramatic involuntary jerking movements (relaxation and contraction) of the whole body. During an attack of grand mal seizures, there is nothing that can be done to stop it, however, people who is present during an attack can help save the patient’s life by performing proper first aid for grand mal seizure that can ensure safety to his or her head and calling for an ambulance. It will be best and less damaging if medical help can arrive as soon as possible. If possible, lay the person on his side to prevent aspiration or choking from his or her own secretions. Caution his or head with something soft (pillow, blanket, etc.). This will prevent the head from banging the ground. Ask someone to call for an ambulance, and never forget to emphasize that the patient is experiencing a seizure episode. This will give the emergency medical team an idea on what supplies and equipments to bring. Never restrain the patient or place anything inside his or her mouth, such as a spoon, tongue depressor, etc. during grand mal seizures. This will just cause injuries. It is an old and false belief to insert a tongue depressor between the patient’s upper and lower jaw during an attack of grand mal seizures. Tongue depressors should not be inserted since it can cause more damage to the patient. 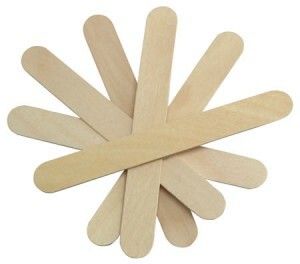 Tongue depressors were falsely used to prevent bite block, however, tongue depressor is made of wood, and it has nothing to do with the prevention of a bite block.